Quite a lot of school districts are experimenting with the idea of issuing laptops to their students to enhance learning initiatives. ?On the face of it, this seems all fine and good: parents don’t have to buy hardware for their kids, and the schools all know that their students have the technology they need to do their homework. There’s just one little problem: naturally, kids – and even adults – will do a little more on their computers than just academics and serious work. ?It’s just a fact of life. So, if you have a school or work-issued laptop, and haven’t figured this out already, let me warn you: you MIGHT be under surveillance. ?And if your school or work-issued laptop has a webcam? 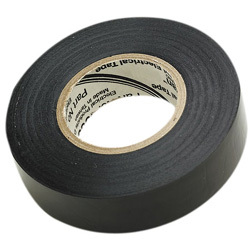 ?Consider investing in some electrical tape, and covering that bad boy up when you’re not actively using it. On November 11, an assistant principal at Harriton High School told the plaintiffs’ son that he was caught engaging in “improper behavior” in his home and it was captured in an image via the webcam. According to the Robbinses’ complaint, neither they nor their son, Blake, were informed of the school’s ability to access the webcam remotely at any time. It is unclear what the boy was doing in his room when the webcam was activated or if any punishment was given out. Now, let’s just let this sink in for a moment. It isn’t specified what kind of “improper behavior” the kid was engaging in, but it does leave one open to wonder. ?There’s a LOT of things teens will do in their rooms thinking no one else is watching (though granted, in the age of MySpace and Youtube, sometimes they do things totally knowing that people are watching, but let’s set that aside for a minute). ?In fact, if you really think about it, there’s lot of opportunities for very inappropriate things to be captured on a webcam that some creepy assistant principal in a high school is accessing without the kid’s knowledge. ?Voyeuristic tendencies, anyone?